started sales for cruises on a brand-new liner MSC Seaview! It was announced in Switzerland (7/5/2016), making all the cruise lovers to catch their breath, as MSC Seaview will spend its first voyage in summer 2018 in the Mediterranean. (Pompeii), and Genoa on the unprecedented innovative cruise liner – this is a future dream that absolutely should be booked today. 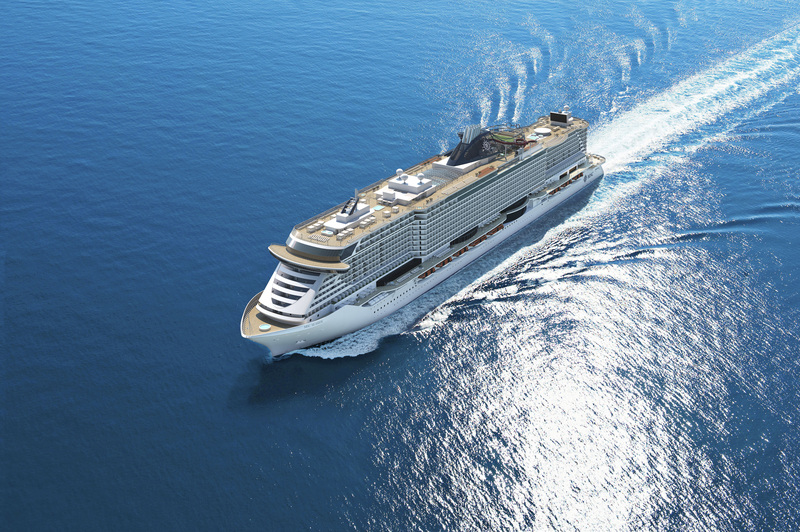 MSC Seaview is a smart ship – the second one of the Seaside-generation – built by the FINCANTIERI shipbuilding company. The liner combines an opportunity of the total relaxation while merging with nature and a possibility to enjoy the unique cruise experience with innovation technology. Stunning promenade, outdoor cafes, restaurants, and public places – all that will allow you to feel the gentle warmth of the sun and magnificent power of the Mediterranean Sea. MSC Seaview will definitely prove you that this is the “ship that follows the sun”. New iBeacon technology, interactive screens, and Near Field Communication, created by Samsung (in partnership), will make your cruise easy, full of new impressions, and absolutely breathtaking. All the guests wishing to spend their summer 2018 in the charming and majestic Mediterranean are able to book their unforgettable voyage from July 18, 2016.